Speaking of possible ways of styling peasant blouse, then I can mention countless great looks, starting from white peasant blouse tucked in suede skirt to cropped tops paired with pencil skirts. You have to know one thing: it's all about freedom of choice. Keep it eye-catchy, trendy and glamour. Keep in mind one thing: peasant top is the definition of bohemian and relaxed casual style, that's why you better keep it simple and fun. 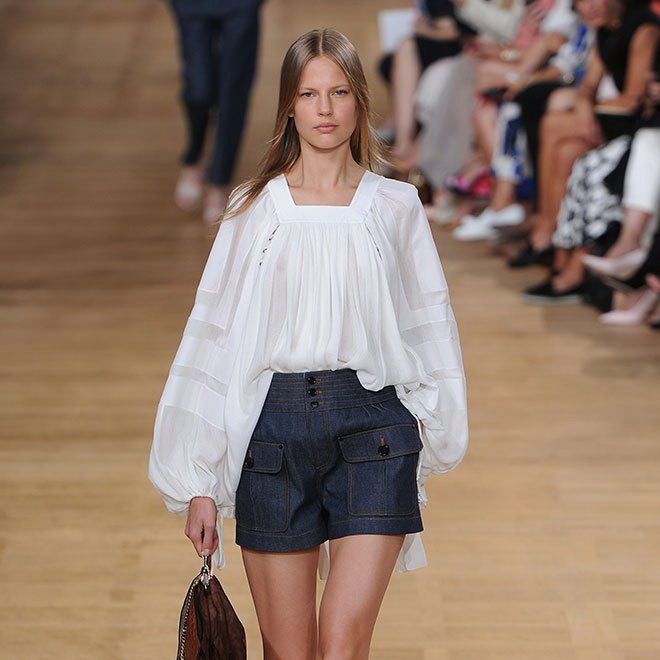 Of course, there are great ways to style it with your office wear, by pairing your billowy peasant top with stylish peasant skirt or white trousers, but the best way is to keep it summer cool, by adding mini shorts, flip-flops or gladiator sandals. Anyway, let's have a closer look at these marvelous outfits and choose our favorites. That’s a great post you have. How do I purchase the items? I love the one with long sleeves.